Employees don’t work for companies; they work for people. The more irresistible you are as a leader, the more pull you have for employees to want to stay and for your customers to remain loyal. 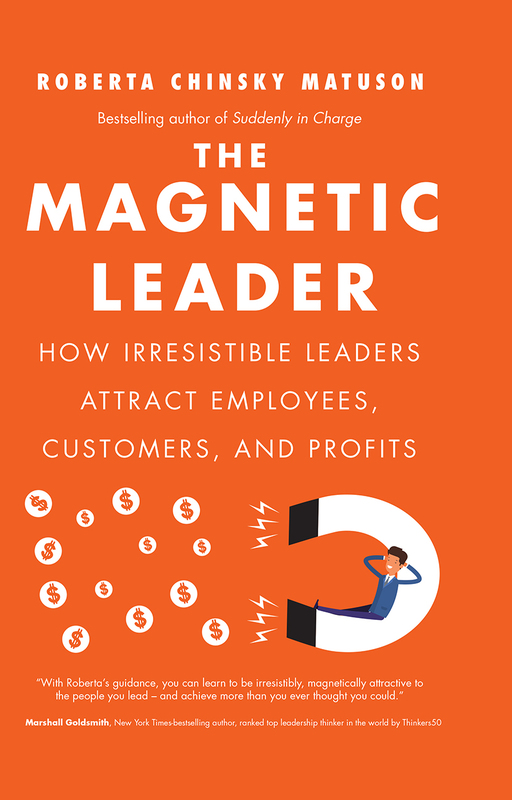 In The Magnetic Leader, Roberta Matuson asks us to consider that the quality of a company’s leadership is the most important factor in attracting and retaining high-quality employees. Matuson has spent 20 years helping organizations achieve both market leadership and dynamic growth by maximizing the talent they already have, in addition to creating a magnetic environment that attracts high-caliber new hires. Many are searching for a magical formula, but the fact is that the answer lies inside businesses’ organizations. Instead of offering crazy perks, companies need to focus on the one perk they can’t get anywhere else, which is the opportunity to work with a truly magnetic leader. The Magnetic Leader aids readers in transforming their leadership style from push to pull, repel to attract, dismal to good, and then good to great. They’ll become magnetic leaders who attract the cream of the crop and ultimately create legions of loyal, talented superstars eager to beat the competition. Roberta Chinsky Matuson, president of Matuson Consulting, has helped leaders in world-class companies, including General Motors, Microsoft, and the Boston Beer Company achieve dramatic growth and market leadership through the maximization of talent. Known globally as The Talent Maximizer®, Roberta is an executive advisor who has personal experience in the C-suite. At only twenty-four years of age, she was promoted to director of human resources for a commercial real estate company, which she helped take public. Roberta is the person that top employment site Monster and global retail giant Staples turn to for advice on talent. She is the author of the international bestseller, Suddenly in Charge: Managing Up, Managing Down, Succeeding all Around (Nicholas Brealey, 2011), which was a Washington Post Top 5 Business Book for Leaders, and Talent Magnetism (Nicholas Brealey, 2013). She is also an expert blogger for Forbes and Glassdoor and a former monthly columnist for the Boston Business Journal.